Following on from where Crookers’ white label CRKRS 001 12” left off, this digital release explores the parameters of one of the tracks featured on that vinyl, ‘Innocent’ featuring Baxter’s vocals. 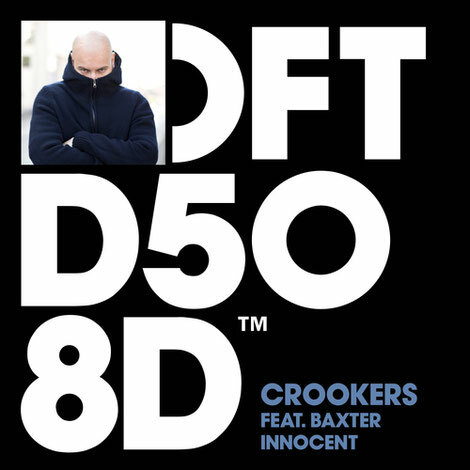 Here, Crookers’ alternate versions give ‘Innocent’ distinctly different flavours as he re-invents the track totally for the ‘More Than A Dub’, inserting an industrial beat and manipulating the vocal into an occasional wedge. Two re-works are provided by Kai Alcé, an artist who draws his influences from three of America’s most musically rich regions; New York, Detroit and Atlanta. Kai’s Distinctive Groove Dub goes in hard with the beat but is softened with shuddering synths and Baxter’s voice souped up with plenty of reverb. The Distinctive Retouch appeals more to a club setting, echoing the original’s pacey, party vibe. it’s out 17 March on Defected Records.